Your donation will help Upward recover. 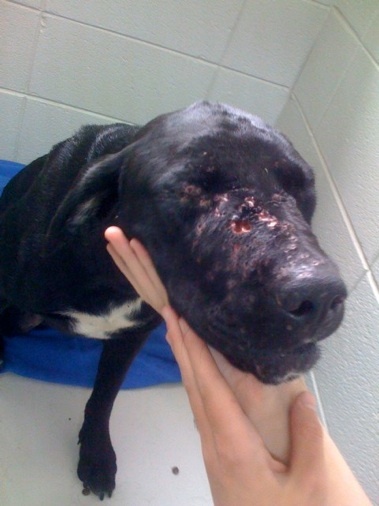 We do not have a clue as to what horrific accident happened to this sweet 2 year old male lab. He is in unbelievable pain. 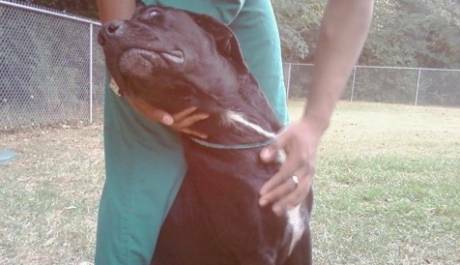 He was picked up in Greenville, SC running down the middle of the road at night. His face is so swollen and infected from multiple puncture wounds. One eye is punctured and the other is damaged so badly that he will not ever be able to see out of it again. He is officially blind. His eye cannot be removed until the infections have all cleared up. 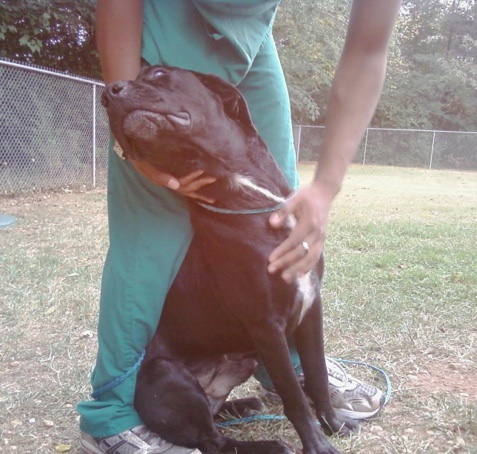 He is at North Greenville Animal Hospital being treated and will be there for two weeks before he can be adopted. This sweet boy is doping a thousand percent better. His swelling is going down and his infection is going away. He is scheduled to have his eye removed either the end of this wekk or the beginning of next. UPWARD had his eye removed yesterday and is doing wonderful. In the process of doing the surgery we found out what happened to him. He was shot at close range. His eye socket was loaded with birdshot and his back legs were also. He is a wonderful sweet dog that would make an incredible member of the family for someone that can take on a dog with special needs since he is blind. He is so sweet and loving. All he wants is someone he can follow around. Upward is doing wonderful. He is getting around great as a blind dog. The one eye that is blue he cannot see out of at all. We think it might give him an illusion that he can see something because of the way he tilts his head but his eye is there but too destroyed to work. He hears your voice and moves around until he finds you and is pretty good at finding you. He is a love. The wonderful animal has stolen the hearts of everyone that comes in contact with him. He is healing from his eye surgery and is learning to trust all over again. 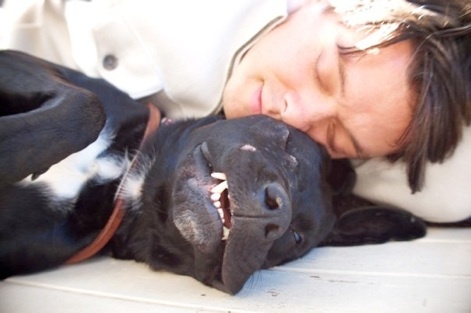 We just adore this gentle dog. As i am typing this, he is on his way to his new forever home in Seattle, WA. He is being driven all the way there from Greenville, SC by a private driver. He should arrive Seattle early Saturday morning. Our wonderful UPWARD was driven all the way from Greenville, SC to Seattle, WA. He has arrived and is enjoying his new family that just adores him. His name has been changed to SORA which is pronounded SOLA and means sky. That is perfect for this sweet boy that appears to always be looking up. Here is Sora with his new Guardian.